I've re-designed and am offering my 'Monku Monku Monku' (roughly translated as 'Gripe Gripe Gripe') items. 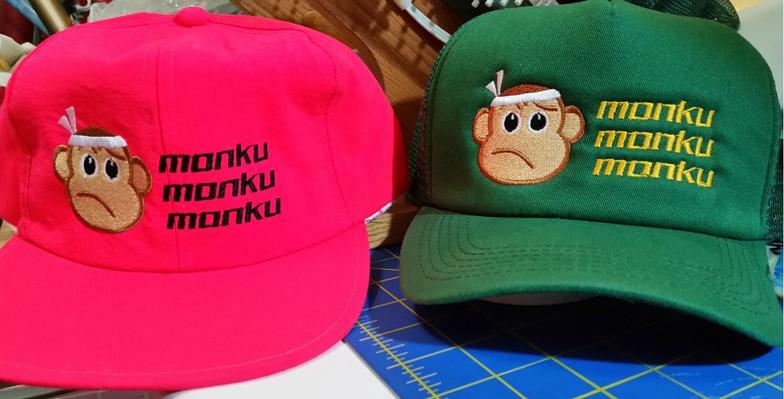 The caps are offered in Neon Red Nylon (NOT a trucker style), and similar colors to the 'Bakatare' caps below (both one-size fits most, with adjustable plastic back), at $15.00 each (applicable sales tax will be applied). 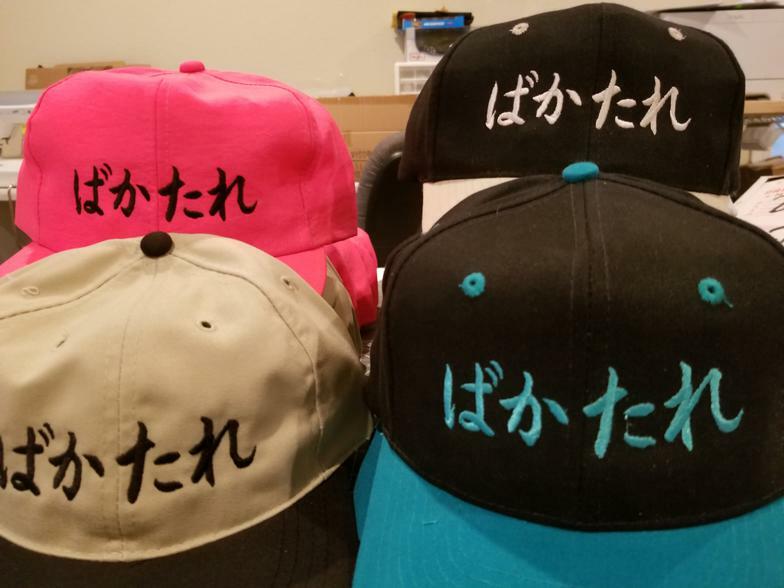 And, now - 'Bakatare' caps! In neon red, black with khaki trim, khaki with black trim, and black with teal trim. These caps are ready for purchase, at $15.00 each, appropiate sales tax will be added. 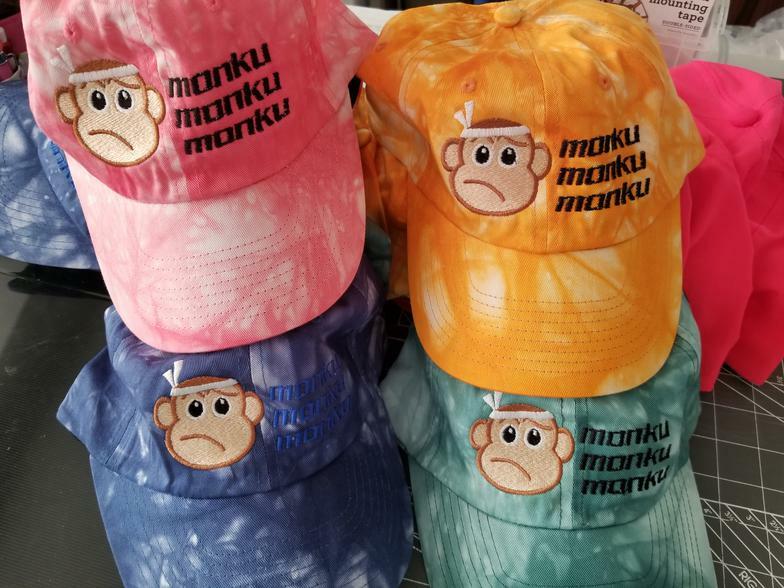 And now - 'Monku" caps come in tie dye!!! Back velcro closure, limited supplies available - order now to make sure you have a chance to grab one of these unique caps, at $15 each.